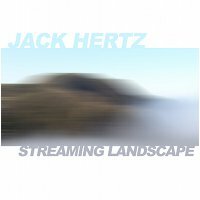 Earth Mantra enthusiastically announces a brand new album by an artist who has not previously released through our humble netlabel, this time a sleek live ambient performance by Jack Hertz called Streaming Landscape. Any list of the coolest spots on the net for music fans would have to include electro-music.com, a community of artists and enthusiasts dedicated to the synthesizer and the vast world of sounds that such instruments yield. Among the many areas of interest on this site, electro-music regularly sponsors live festivals, both at physical venues as well as virtually over the net, where members and the general public congregate to enjoy each other's company, learn about new music technologies, and ultimately, to listen to great electronic music. One such virtual festival occurred in late September 2010, the Electro-Music Autumnal Equinox streaming concert, which presented literally dozens of performances by various artists over more than twenty-four hours. One particularly delicious set during this event was by Jack Hertz, the recording of which has now been released as Streaming Landscape. Jack performed this music on five Native Instruments FM8 soft synthesizers and the Yamaha FS1R hardware synthesizer, with guitar loops contributed by Marc Moore, Kevin Haller and Jon Johnson. The performance is a continuation of Jack's "Freq Mod" (frequency modulation) project that comprises six FM synthesizers working together to create all the sounds, patterns and beats. In this environment, Jack leverages the great flexibility of FM synthesis to create a vast and unique palette of sounds that he can manipulate harmonically in real time. The Freq Mod sets are entirely live and improvised with all of the sounds and structures created in real time during the performance. Musically, we feel this set is nothing less than a masterwork. Despite their digital source, the sounds bubble and dance warmly, the kind of electronic music that crosses over between the worlds of ambience and straight-up electronica, with enough elements of both to make fans of both worlds sit up and take notice. The clarity of the sounds simply blows us away. We have not had the pleasure of seeing Jack perform live in person, but we certainly will not pass up such an opportunity in the future if one presents itself. We have heard a lot of live ambient music, and this performance certainly stands tall amongst the best we have ever heard. Brilliant work. So it is with great pleasure that we welcome Jack Hertz to the Earth Mantra family of artists and present his live ambient tour de force Streaming Landscape. A glorious live performance by an electronic artist in a serious zone, and one we think all of our listeners will enjoy immensely. Listened to this live and really enjoyed it then. It's wonderful to see this released with Earth Mantra. Well executed and thought provoking performance.